Bishop is considered the commercial “hub” of the Eastern Sierra. Locals and visitors can find just about any product or service downtown with ample free parking just a block east or west of Main Street. 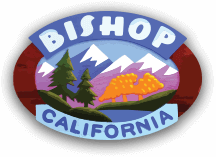 Bishop has a good mix of known name stores like Kmart, NAPA, ACE Hardware, plus dozens of independent businesses that specialize in providing unique products with good old-fashioned customer service. Click here for a list of chamber member businesses.